It may come to you in the form of religion, maybe it's addiction or any of the countless credences I will not expend the time or energy to list, but us humans have a tendency to believe in something(s) larger than ourselves. In an effort to avoid taking you through a meandering journey into the depths of my cerebrum, I'll just say one such force which I hold true in my life is karma. You reap what you sow. Send out positive vibes, exude morality, and simply, be a good person, and the universe will echo these deeds. Operate in the opposite manner, and, well, you're probably going to have a tough go of things. Which is why I should've just scratched last week's intro and gone in an entirely different direction. It was too late, though, the boastfulness had already made its way into the stratosphere. The result? Evan Fournier was solid, but Mason Plumlee was meh. Reggie Jackson picked up three fouls in a mere six minutes. Gordon Hayward played (arguably) his worst game of the season. As did Paul Millsap. Don't get me wrong, I do not honestly believe my words had any impact on the events which took place on the hardwood throughout various cities in the United States last Thursday evening. However, that's not the point here... I will not jinx it this week. I will not jinx it this week. I will not jinx it this week. Six-game slate on tap in the association tonight, with some big-name players lacing them up - Anthony Davis, Giannis Antetokounmpo, Joel Embiid, Russell Westbrook, Nikola Jokic... You'll want to get at least one of them in your lineups. 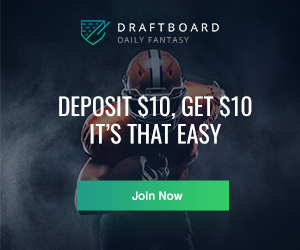 However, as usual, the goal here is not to waste your time (even though that's exactly what I've done to this point) so I'll be highlighting a few mid-tier priced options to lower-priced, value plays in an effort to help you build the optimal DraftKings lineup. 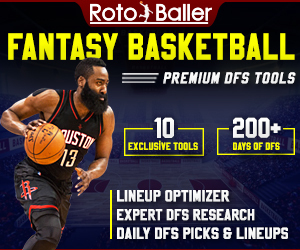 You can also read today's FanDuel lineup picks and our Premium DFS Cheat Sheet, as well as, check out the NBA DFS Matchup Ratings tool for daily player projections. Oh, and be sure to check for injury updates prior to the opening tip - I will not be held liable for your negligence in that regard. This isn't as much about Fox's 17.5 points, 3.9 rebounds, 6.9 assists, 1.5 steals and 35.4 DraftKings fantasy points per game as it is the Atlanta Hawks being a young basketball team. (Excluding Vince Carter; he's ancient.) With youth, comes turnovers - Atlanta has granted opponents 9.6 steals per game (second-most) and Fox ranks in the Top-25 in steals. Youth also brings with it defensive lapses, and the Hawks have been one of the worst teams at defending opposing guards - Fox is a guard. A point guard -- to be exact -- who's likely to be matched up with Trae Young for most of the evening - Young ranks 168th in Defensive Rating of the 199 guards who've played at least 10 minutes per game this season. These are the two fastest teams in the league, in terms of pace rating, and the Vegas point total is up to 231 (the highest of the night). This one should be a track meet and I like Fox to run through the tape. Not only are the Pelicans shorthanded as Elfrid Payton deals with a sprained ankle (he could return for this one) but they're on the second night of a road, back-to-back and the first half saw Jrue Holiday log 42 minutes. The logical assumption here is that head coach Alvin Gentry will utilize Tim Frazier and/or Ian Clark a bit more off the bench in this one -- should Payton miss this game as well -- both of whom rank among the league's worst guards defensively. Regardless, only seven teams have allowed opposing guards to shoot better from three than the 37.8% the Pels have allowed on the season and Stauskas has knocked down at least two triples in four of seven games - he's also added three rebounds and two assists per game. As with most of the guys in this price range, Stauskas doesn't come without risk, but he has back-to-back double-digit scoring performances and he'll likely make it a third tonight. Don't fret, you are not required to possess the ability to pronounce his name in order to indulge in his value. 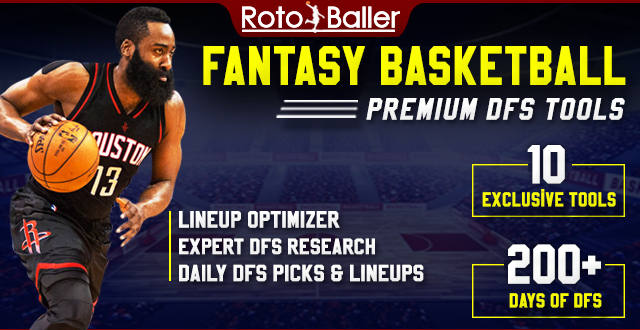 His 1.21 DraftKings fantasy points per minute are tied for the seventh-most among forwards on tonight's slate and the 33.2 DK fantasy points per game he's put up on the year are just 3.5 behind Los Angeles Clippers Tobias Harris who is priced at $7,600. Bjelica is averaging 22 points over his last three and has pulled down at least five boards in six of Sacramento's eight games - the Hawks 46.8 rebound rate is the second lowest in the league. Often overlooked, Bjelica is about as consistent as they come and he's seen at least 30 minutes in each of the Kings last four games for good measure. I'm all in on this Kings/Hawks matchup. In addition to the reasons mentioned above (see De'Aaron Fox) the Thunder, 76ers, Bucks, Celtics, Trailblazers, Nuggets, and Clippers are all in action tonight and I imagine the majority of players are going to flock to those teams when setting their lineups. It's the whole "public perception" effect and the TNT doubleheader only helps to boost this with the whole "I wanna watch my guys" thing. What people fail to realize is that bad teams put up numbers too (there's also this thing called League Pass... And Reddit). Bembry does a little bit of everything -- leading the Hawks' second-unit in minutes, points, assists and steals, and is second in rebounds -- and hasn't failed to put up fewer than 16 DraftKings fantasy points in a game this season. Alright, so I lied. I'm vacating the mid-to-low tiers at center tonight. I was going to go with Alex Len or Willie Cauley-Stein but I'm tired of writing about the Hawks and Kings -- we need some diversification here -- and three of the game's top bigs (Joel Embiid, Nikola Jokic, and Anthony Davis) are in action tonight; Adams gives us a puncher's chance against them. 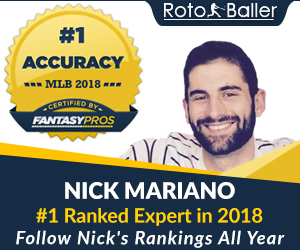 No, he won't give you the 50 points those three are virtually guaranteed to put up at this point, but he does have three 40-plus DraftKings performances over his five appearances (four double-doubles) and will save you a whopping $3,000 of your salary cap.